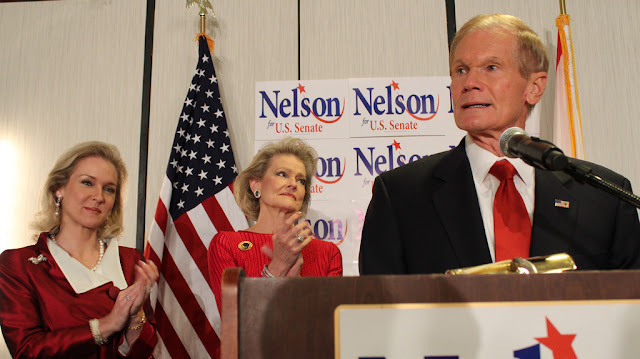 ORLANDO — Bill Nelson won his re-election bid on Tuesday, Nov. 6, achieving his third term as a Democratic senator for the state of Florida. “A public office is a public trust, I will try to honor that public trust,” said Nelson during his victory speech at the Embassy Suites in Downtown Orlando. 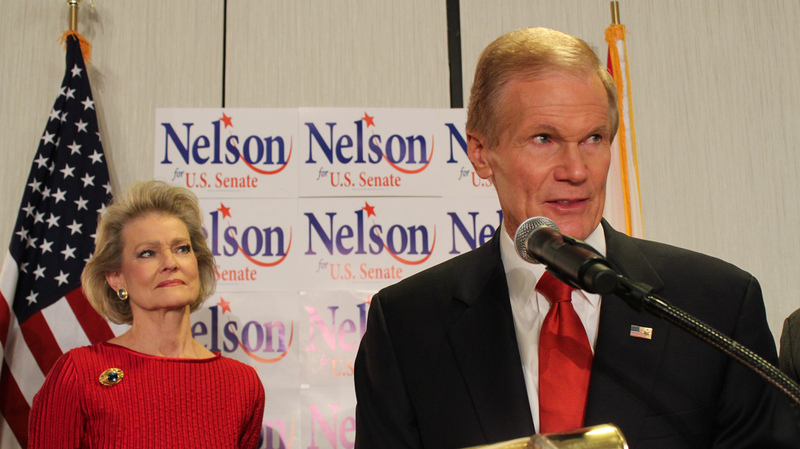 Nelson states on his website that his top priorities are bringing investments and jobs to Florida, reducing the federal deficit and cutting federal spending, preserving Social Security and Medicare. During the election cycle Nelson suffered his fair share of attack against his voting record while in office from his opponent U.S. Rep. Connie Mack. “You don’t win in America by cheating, changing the rules, lying, disregarding the truth, bullying, and getting special interest money behind your cause,” said Nelson’s wife, Grace Nelson, as she introduced the senator. Another personal goal of Senator Nelson is maintain a robust space program and support high-paying jobs on the space coast. Nelson has been a long-time advocate for NASA and looks to enhance America’s role in space exploration. He recently gave encouraging words at NASA’s Kennedy Space Center as it officially welcomed the Orion spacecraft, slated to be the symbol for the future of NASA in the post-space shuttle era. He personally went into space serving as a payload specialist on the last successful mission of the Space Shuttle Columbia in Jan. 12, 1986. “He has represented Florida amazingly well, I’ve known Senator Nelson for eight years now and I’ve never met a more sincere and honest elected official in my life,” said Scott Randolph the Orange County Democratic Party chairman.